Prosecutors dropped charges Wednesday against Allen Edwards, 42, one of two men arrested in connection with an attack Sunday on an SUV driver who was swarmed by bikers on a New York City street. The office is not currently prosecuting Edwards as it continues to investigate the incident, said Erin Duggan, communications director for Manhattan District Attorney Cyrus R. Vance Jr.
Edwards had originally faced charges of reckless endangerment, criminal mischief and menacing, the New York City Police Department said. The incident involving bikers went viral after a video of the incident surfaced online. The death toll from the five-story building collapse in Mumbai rose to 60 on Sunday, authorities said. Fearing they may have pulled out the last of the survivors, officials have now ended their rescue operation, said Sachidanand Gawde of the National Disaster Response Force (NDRF). Thirty three people were pulled out alive from the building since it collapsed Friday. 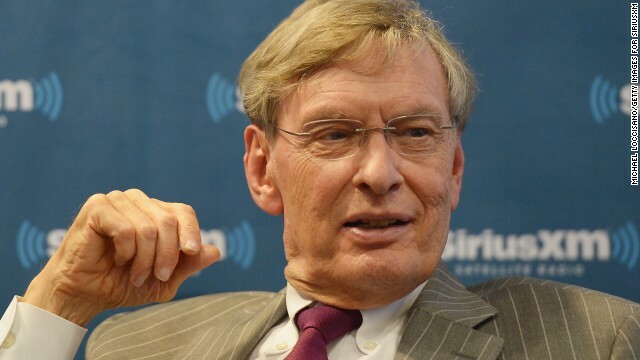 Major League Baseball Commissioner Bud Selig will retire when his current term ends January 24, 2015, Major League Baseball said Thursday. Selig said that "it remains my great privilege to serve the game I have loved throughout my life." "Baseball is the greatest game ever invented, and I look forward to continuing its extraordinary growth and addressing several significant issues during the remainder of my term," he said in a statement. Selig, 79, has been full-time commissioner since 1998 after six years as the interim boss. Before that, he owned the Milwaukee Brewers after moving the Seattle Pilots in 1970. The game changed significantly during Selig's tenure as commissioner. Interleague play was instituted, teams that exceeded a salary threshold were penalized and the money shared with other teams, and the postseason was revamped several times to include division series and the Wild Card playoff contest. Umpires can now also use instant replay to review certain plays. MLB also grew. Two teams - the Arizona Diamondbacks and the Tampa Bay Rays - joined. The Montreal Expos moved to Washington and became the Nationals. Other teams switched divisions and the Brewers changed leagues. There were low points, too, including MLB canceling the World Series in 1994 after a players' strike, and a long investigation into the use of performing-enhancing drugs in baseball that culminated in a 2007 report that led to congressional hearings. An appellate court has ordered a new trial for Marissa Alexander, a 31-year-old mother of three, who was sentenced to 20 years in prison last year for firing a warning shot in an effort to scare off her abusive husband. Alexander unsuccessfully tried to use Florida's controversial "stand your ground" law to derail the prosecution, but a jury convicted her of aggravated assault after just 12 minutes of deliberation. The case gained the attention of civil rights leaders who say the African-American woman was persecuted because of her race. Oracle Team USA successfully defended the America's Cup yachting race Wednesday, completing a seemingly improbable comeback in the series of contests against Emirates Team New Zealand by winning the deciding 19th race. 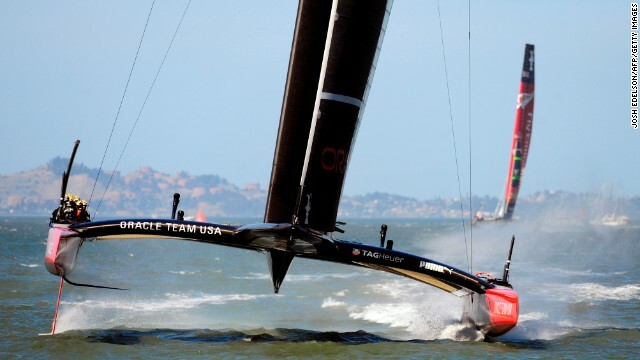 Oracle Team USA, which once trailed 8-1 in yachting's most prestigious competition, tied the series 8-8 Tuesday in San Francisco Bay to set up likely the most exciting finish in the 162-year history of the event. On Wednesday, the U.S.-based team won by 44 seconds to claim the title. Two victories for Oracle Team USA, bankrolled by billionaire Larry Ellison, were scratched off because it was deemed to have illegally tinkered with its boat prior to the finale. Two crew members who went missing when their helicopter went into the Red Sea on Sunday are believed to be dead, the U.S. Navy said Monday. Search and rescue efforts for the two, who were in a MH-605 Knighthawk helicopter, have been suspended, the Navy said. The sea lies between Africa and the Arabian Peninsula. Two people are in custody in connection with last week's shooting in Chicago, and a 3-year-old boy injured in gunfire remains in intensive care, authorities said Monday. The two are regarded as "persons of interest," police told CNN. The Chicago Tribune quoted police as saying no charges have been filed against the two, who are men. They say that "several people of interest" were being interviewed. An electric wiring problem likely caused the fire this month that damaged a massive swath of New Jersey's boardwalk, which had been freshly rebuilt after Superstorm Sandy wrecked it last October, authorities said Tuesday. An investigation ruled out human involvement in the fire, Ocean County Prosecutor Joseph D. Coronato said. A team of investigators agreed that a failure of electrical equipment and wiring under the boardwalk contributed to the blaze. The wiring was installed in 1970 and "compromised by Sandy floodwaters," investigators said. Filed under: New Jersey • U.S.
A Catholic priest was attacked with acid on the east African island of Zanzibar in the third such unprovoked assault in two months, and remained hospitalized Saturday, the cleric told CNN. The Rev. Joseph Anselmo Mwagambwa said he was attacked Friday afternoon while coming out of an internet cafe in Mlandenge, a community in the city of Zanzibar. He was being treated in a hospital in the Tanzanian mainland city of Dar es Salaam. Police are still investigating, and no arrests have been made. More than half a foot of rain deluged Boulder County, Colorado, overnight, setting off flooding and rock slides that collapsed homes, put dams at risk and killed at least two people. One person died after being trapped in a collapsed building, in Jamestown, Boulder County spokeswoman Gabbie Boerkircher said. The circumstances surrounding the other death weren't clear early Thursday, but the Colorado Springs Fire Department said on Twitter that the body had been recovered by a "heavy rescue team." Numerous other buildings had collapsed, but it was unclear how many or if there were any other injuries, Boerkircher said. A rockslide was hampering access to the site. A new United Nations report affirms that both sides in the Syrian civil war have committed grave crimes in violation of international law. Government forces continue to attack civilian populations in what amounts to crimes against humanity, says the report by the U.N. Human Rights Council, which was released Wednesday. But anti-government groups, in their fight against President Bashar al-Assad, have themselves committed war crimes, including murder, torture and hostage-taking, the report states. As the fighting rages, "it is civilians who continue to pay the price for the failure to negotiate an end to this conflict," the agency said in a prepared statement. An iPad used to shoot video of a confrontation that allegedly erupted Monday between George Zimmerman and his estranged wife, Shellie, and her father might prove key in determining whether charges will be filed, police said Tuesday in Lake Mary, Florida. "Unfortunately, the iPad is in several pieces," police spokesman Zach Hudson told reporters about the device, which he said George Zimmerman had damaged. The incident comes two months after Zimmerman, a neighborhood watch volunteer, was acquitted of second-degree murder in the shooting death in nearby Sanford of Trayvon Martin, a 17-year-old unarmed youth. Police have sent the pieces of the iPad for analysis, Hudson said. "We want to get all the information, the footage, off it." A roadside bomb hit a bus in Afghanistan's Ghazni province Tuesday, killing seven people and wounding 17 others, a provincial official said. Safiullah Ibrahimi, a spokesman for the governor of eastern Ghazni province, said insurgents planted the bomb. All of the casualties were men, he said. No women or children were hurt. An accident on a children's swing ride at a festival in Norwalk, Connecticut, on Sunday injured 13 children, some seriously, according to police. The ride "apparently lost power causing the children on the ride to forcefully fall to the ground," Norwalk police said on the department's Facebook page. Most of the injuries were minor, police said, but "several" were seriously injured, "including two which appeared to be the most serious." At least 49 inmates broke out of a prison in Tunisia on Sunday night, the country's state-run Tunis Afrique Presse reported. Security forces have detained 13 of the escapees, according to the report, which cited a security source. The incident occurred in Gabes, in the southeastern part of the North African country. It is the latest mass prison break in the turbulent Muslim world. Former Egyptian President Mohamed Morsy will stand trial on charges of incitement to conduct murder and "thuggery" relating to clashes near the presidential palace late last year, state-run MENA reported Sunday. The country's general prosecutor ordered Morsy to stand trial along with 14 members of the Muslim Brotherhood, the news agency said. No date was given for the trial. Nelson Mandela has been discharged from the Pretoria hospital where he had been receiving treatment since June, the South African president's office said Sunday. He will continue his recovery at home. "Madiba's condition remains critical and is at times unstable," the president's office said. "Nevertheless, his team of doctors are convinced that he will receive the same level of intensive care at his Houghton home that he received in Pretoria."